It seems as though it was just yesterday but it’s already been ten years since Charlotte Olympia Dellal offered her personal vision of ladies’ footwear to the world. During this decade, the British designer has seen her brand, Charlotte Olympia, grow to become one of the most sought after favourites for glamorous ladies around the globe. That’s precisely because her personal trademark is just that: all the elegance and glamour of the golden days of 1940s and 50s Hollywood, when pin-ups and movie stars were the influencers of their day. 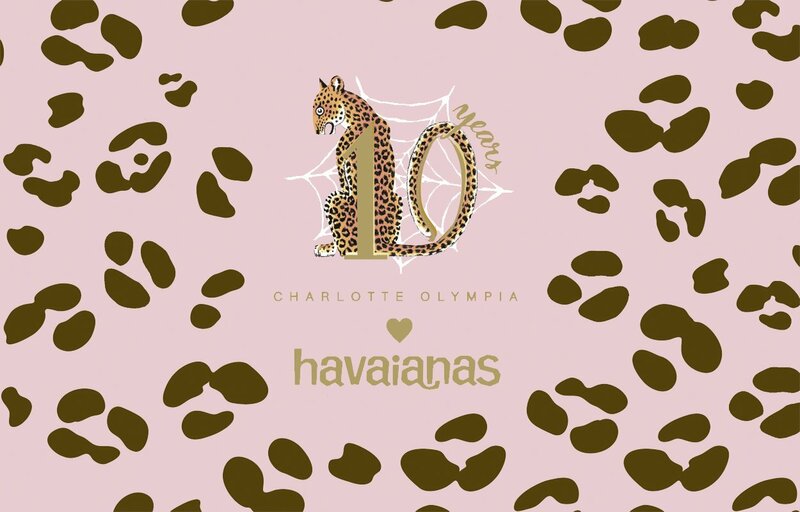 Charlotte and Havaianas joined forces in 2015 to work on a capsule collection in which the designer shared and transposed her love for the glamorous feline universe onto the very popular range of flip-flops. Now, in 2018, to celebrate Charlotte Olympia’s tenth anniversary in the world of fashion, they team up once again to create a unique model that spells glamour in every one of its details. 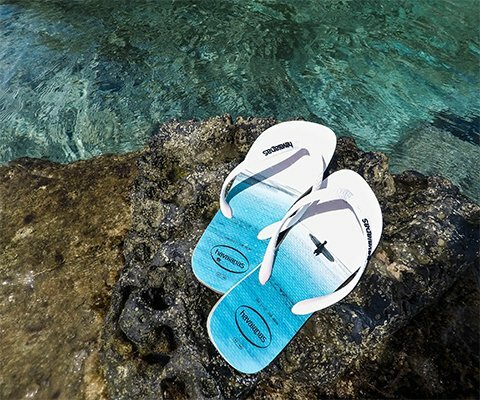 The starting point for this joint project happens to be the brand’s most ‘chic’ design: the YOU Havaianas model which, for the first time, comes in a printed pattern featuring a pin. 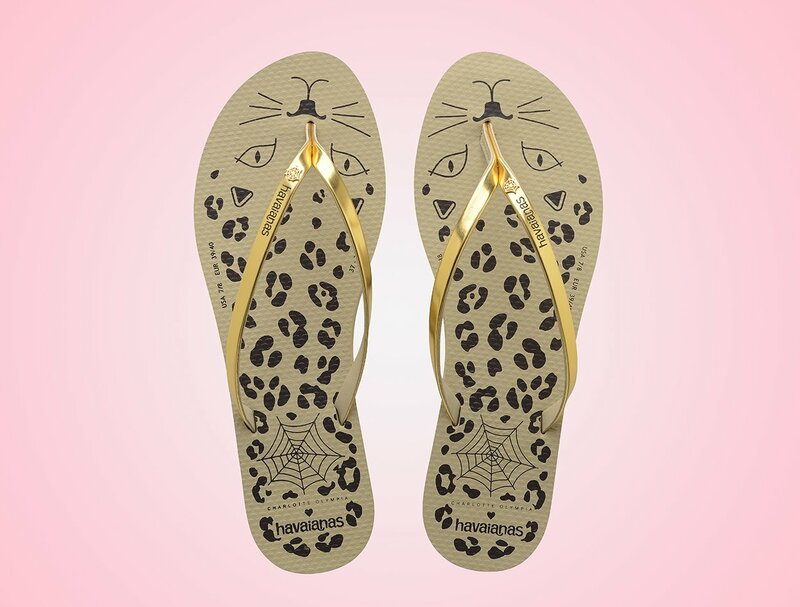 To this, Charlotte Olympia has applied her personal ultra-feminine touch, in a universe inhabited by cats, tigers and leopards, thus adding her grain of sand to the mythical and unmistakable silhouette of Havaianas: this summer, flip-flops will be more glamorous than ever! But who is Charlotte Olympia? 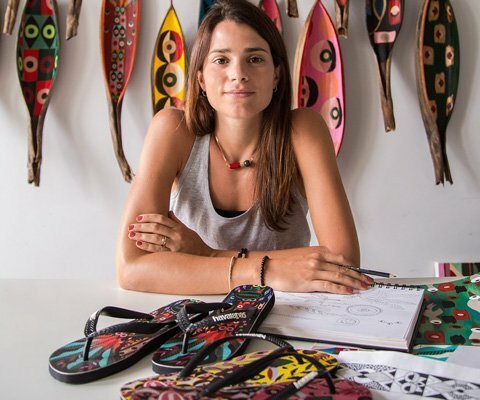 Behind the stylish poses, one finds a daring designer and firm-footed businesswoman who has turned her designs into the footwear most coveted by celebrities. 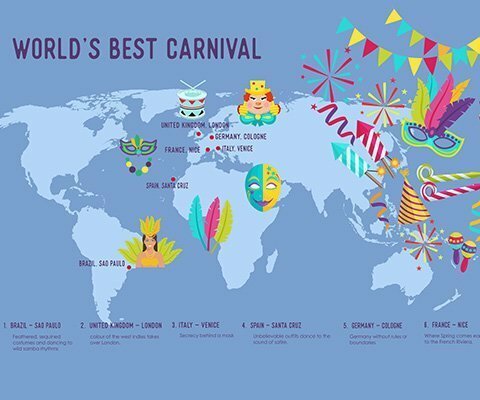 We also find a woman who holds Brazil close to her heart: indeed, she is half-Brazilian through her mother and has lived in the country for two years when she was a little girl! “It’s my home away from home. I often dream of going back there to enjoy its energy and be surrounded by some of my favourite landscapes in the world. I always leave feeling recharged”, has confessed the designer on more than one occasion.